chinese pakoda recipe | chinese pakora recipe | chinese bhaji with detailed photo and video recipe. a unique and fusion street food recipe made with vegetable and chinese sauces. 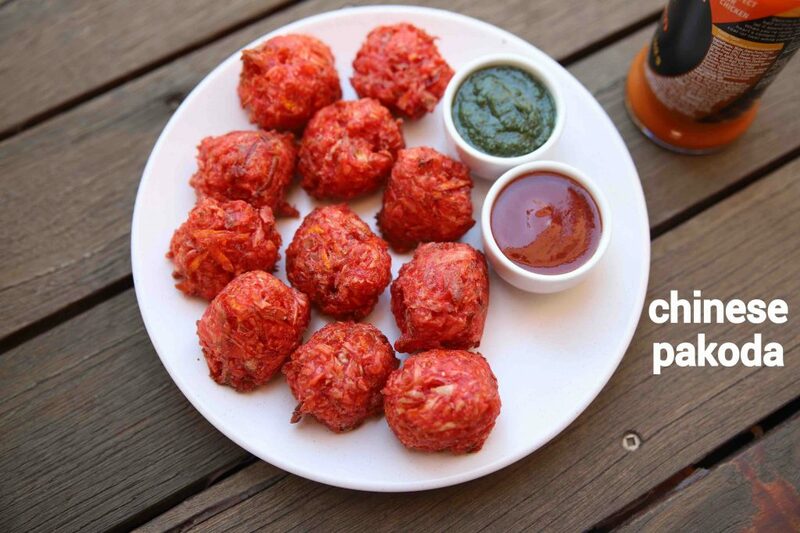 basically simple deep fried snack which gets most of its properties from the traditional pakora recipes. it is generally dark red in colour and is filled with indo chinese flavours, like chilli sauce, vinegar and soy sauce. chinese pakoda recipe | chinese pakora recipe | chinese bhaji with step by step photo and video recipe. pakora recipes are very common across india and are made with myriad vegetables. generally, it is made with spiced besan or chickpea flour batter and then deep fried till crisp. but this recipe is an urban street food fusion made with mixed veggies and plain flour with strong flavours of chinese sauces. 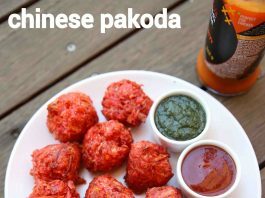 i have shared quite a few pakora recipes till now, but this recipe of chinese pakoda is totally my new favourite snack. 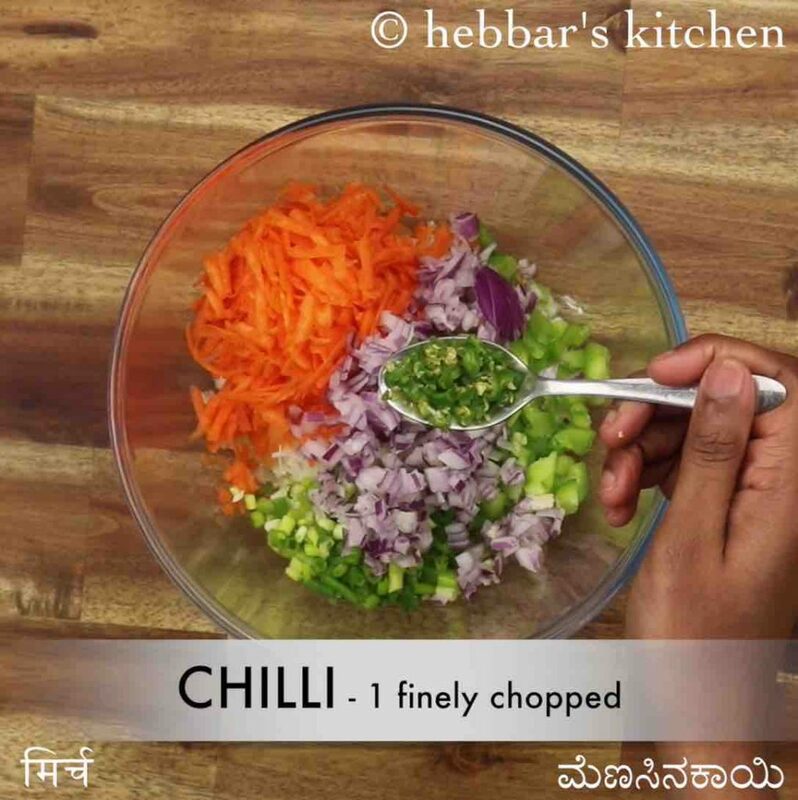 as a matter of fact, i came to know about this recipe very recently in an indian restaurant near to sydney. initially, i was totally intrigued and amazed by the name and the colour of this pakoda. i could not resist and i had to try it without any doubt. and i was totally into it with its first byte. i could easily feel the ingredients used in it as it had a strong punch of chilli sauce, soy sauce and vinegar. in addition, it had a bright red colour in its appearance and it was obvious and had used red food colour for it. it is a simple snack without many complications, yet some tips and suggestions to make chineese pakoda recipe perfect. 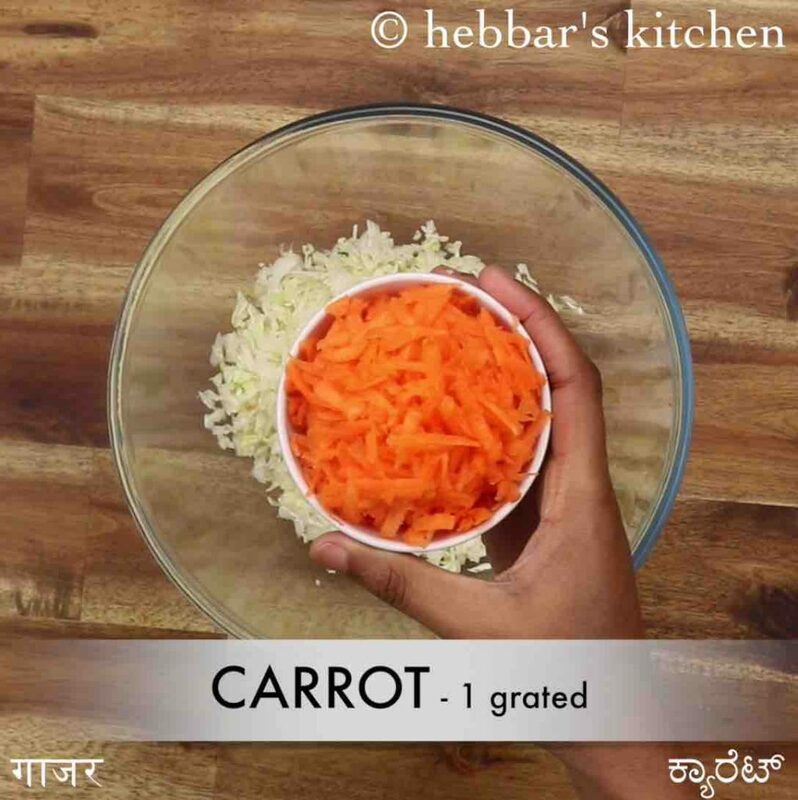 firstly, the recipe is generally made with finely chopped cabbage and carrots. but you can add other veggies like capsicum, spring onion, broccoli and sweet corn. secondly, adding food colour is completely optional and can be skipped entirely. 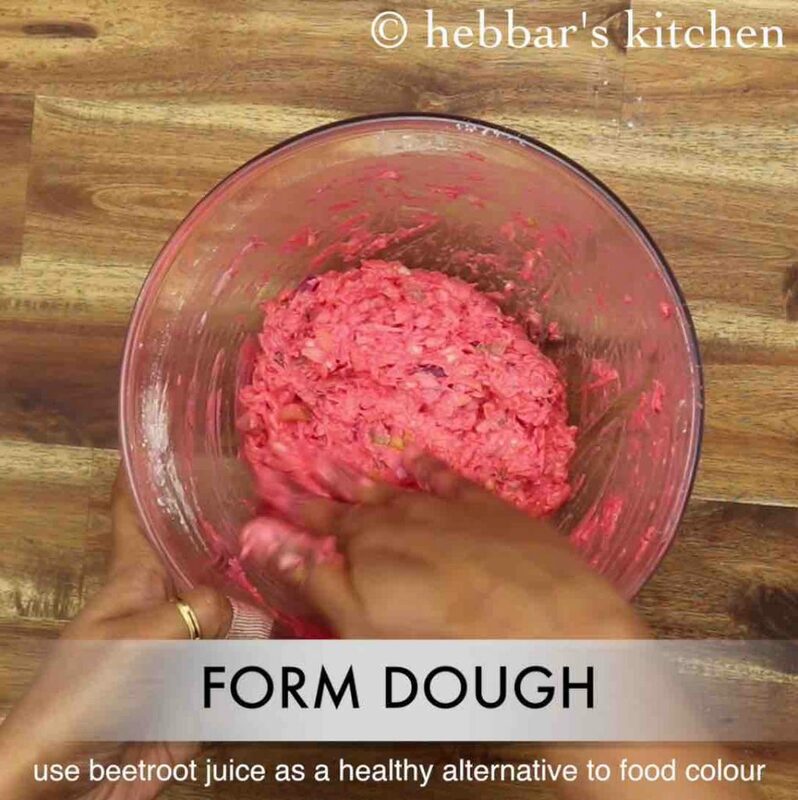 you can use beetroot juice for the same purpose. 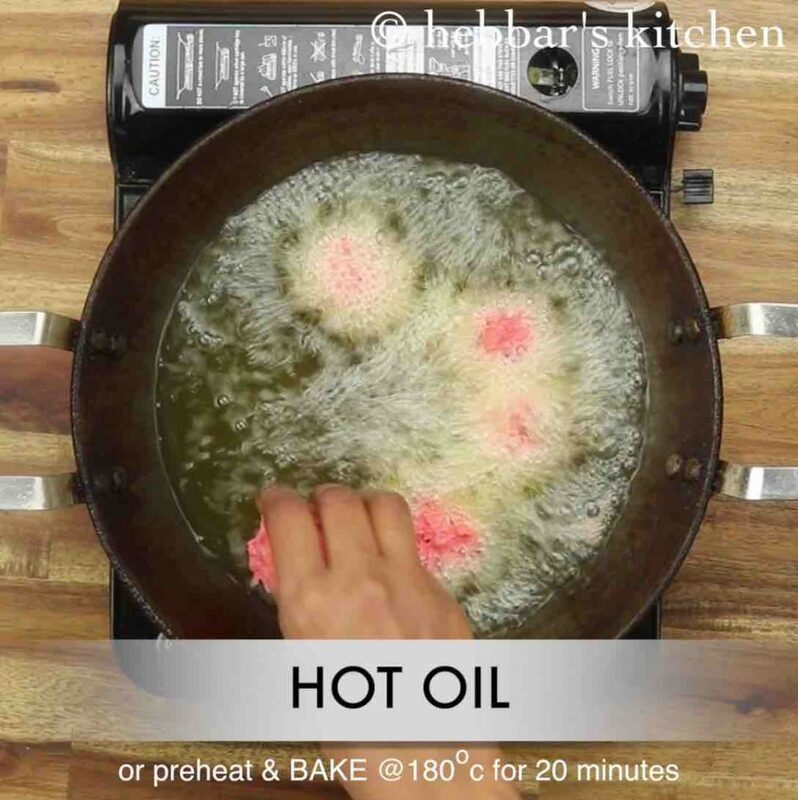 lastly, the recipe has to be served immediately once it is deep fried, otherwise, it may lose its crispiness. as a matter fact you can shallow fry or even bake it with oil spray on it. 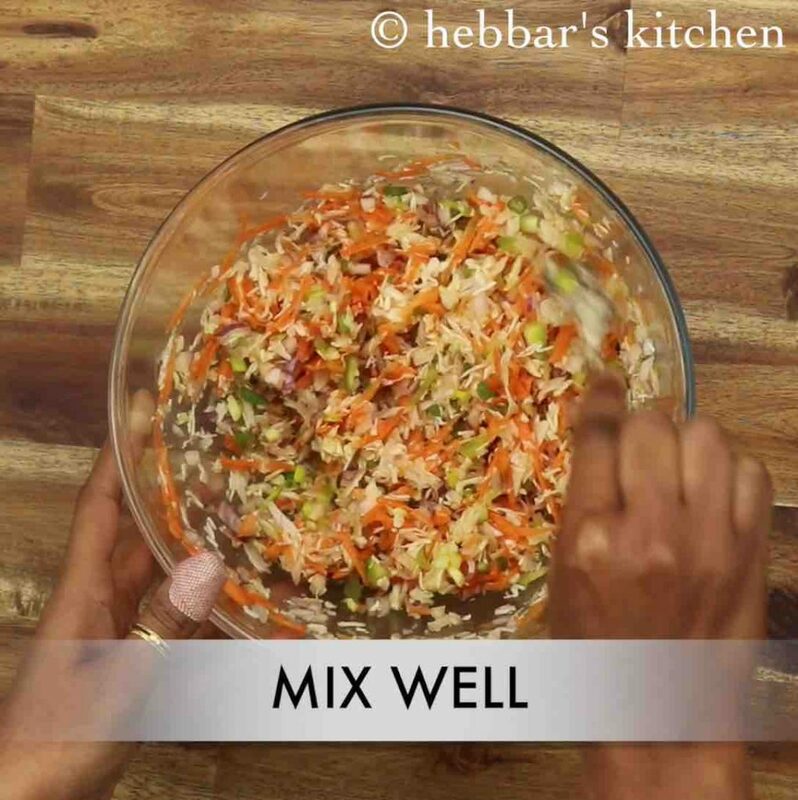 firstly, in a large mixing bowl take 1½ cup cabbage, 1 carrot, ¼ capsicum, 2 tbsp spring onion and ½ onion. also add 1 chilli, 1 tsp ginger garlic paste, 1 tsp vinegar, 1 tsp soy sauce, 1 tsp chilli sauce and ½ tsp salt. mix well making sure the sauces are well combined. now add ½ cup maida, 2 tbsp corn flour and ½ tsp red food colour. mix well forming a loose dough. add more maida or corn flour if required. 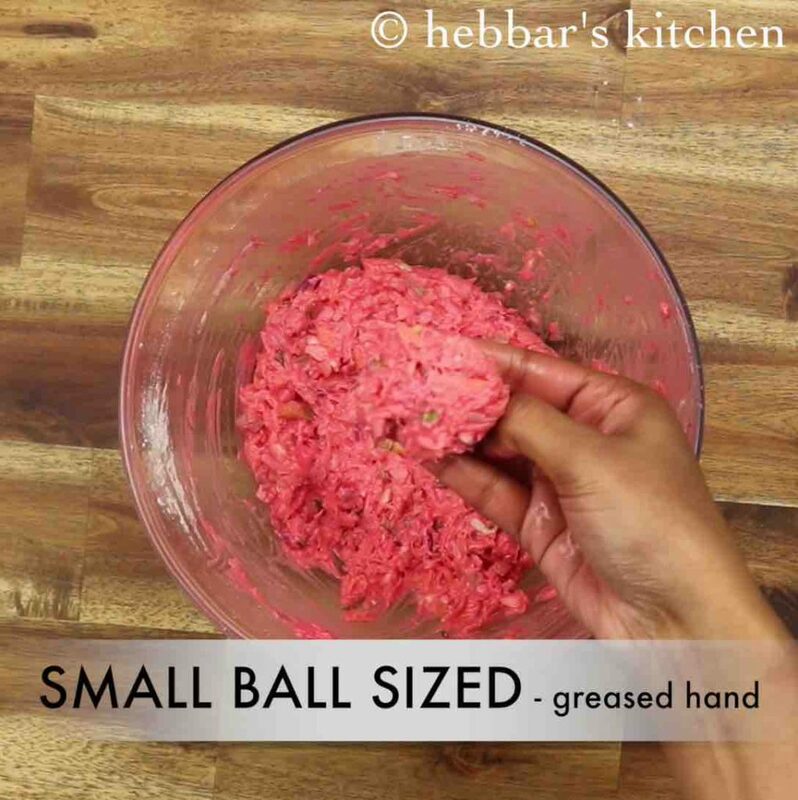 grease your hand with oil and pinch a small ball sized pakoda mixture. deep fry in hot oil or preheat and bake at 180 degree celcius for 20 minutes. 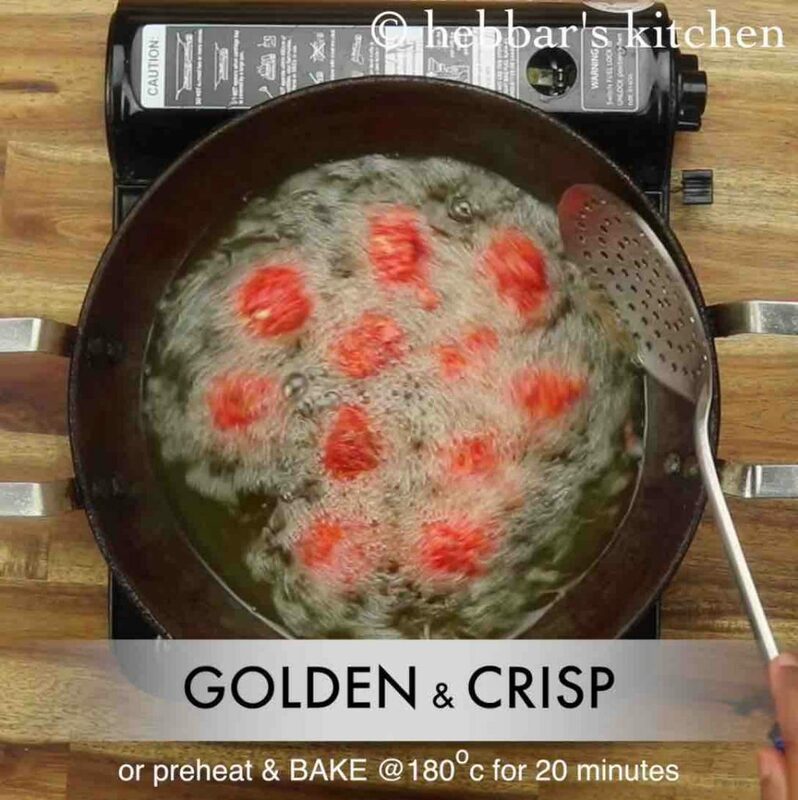 stir occasionally until the pakoda turns golden and crisp. 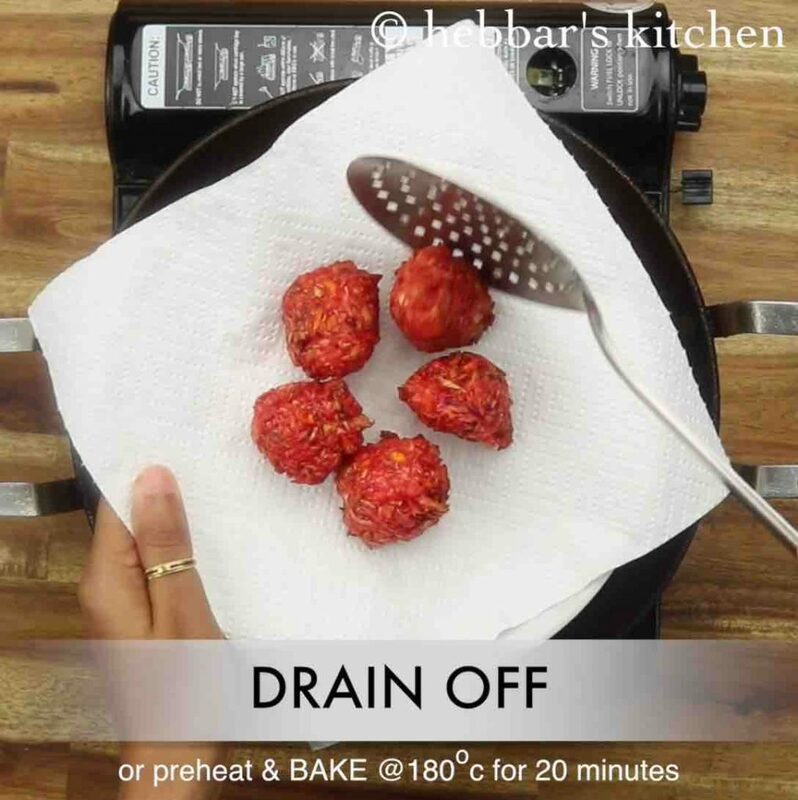 drain off the pakoda over kitchen towel to remove excess oil. 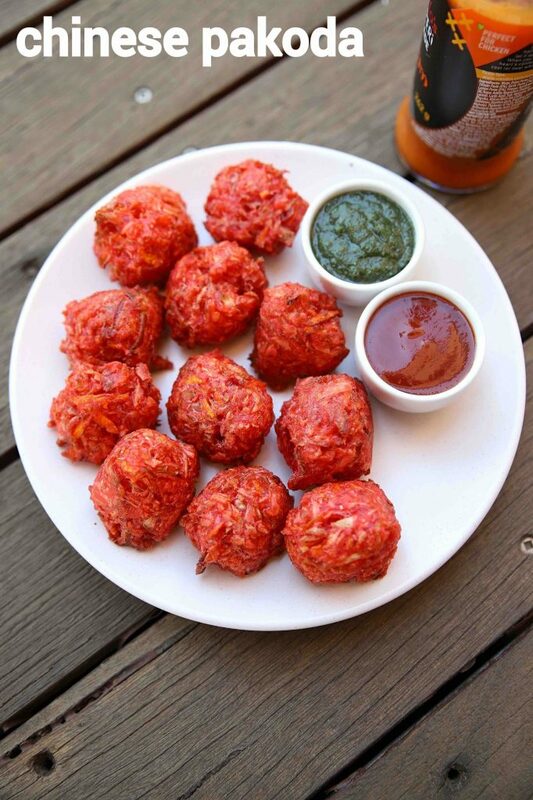 finally, enjoy chinese pakoda recipe with tomato sauce and green chutney. firstly, add vegetables of your choice like beans, palak and corn to make pakoda more nutritious. 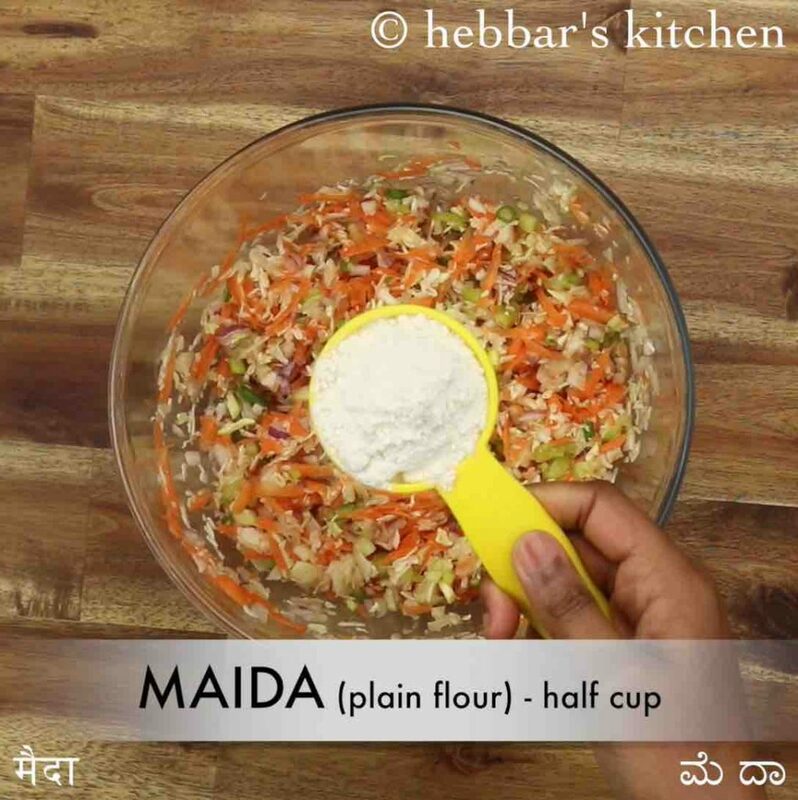 also, replace maida with besan for a healthy alternative. additionally, using red food colour is completely optional. however it gives bright colour to chinese pakoda. finally, chinese pakoda recipe tastes great when prepared spicy and crispy.